No one thought the current Raptor isn't potent enough. In the war of powerful, baja-ready pickups, the only reigning king of stock trucks is the Ford F-150 Raptor, which hit the scene in a big way back in 2010 as the SVT (Special Vehicle Teams) Raptor. The big 6.2-liter V8 with 411 horsepower and 434 lb-ft of torque was pretty much a perfect match for the off-road suspension and chassis of the SVT Raptor. Then, the second-gen truck got a 3.5-liter EcoBoost V6 with 450 hp and 510 lb-ft of torque. It looks like Ford's going to return to bigger displacement for this gen's swan song. The first-gen Raptor (SVT Raptor) with its big-displacement V8 engine. 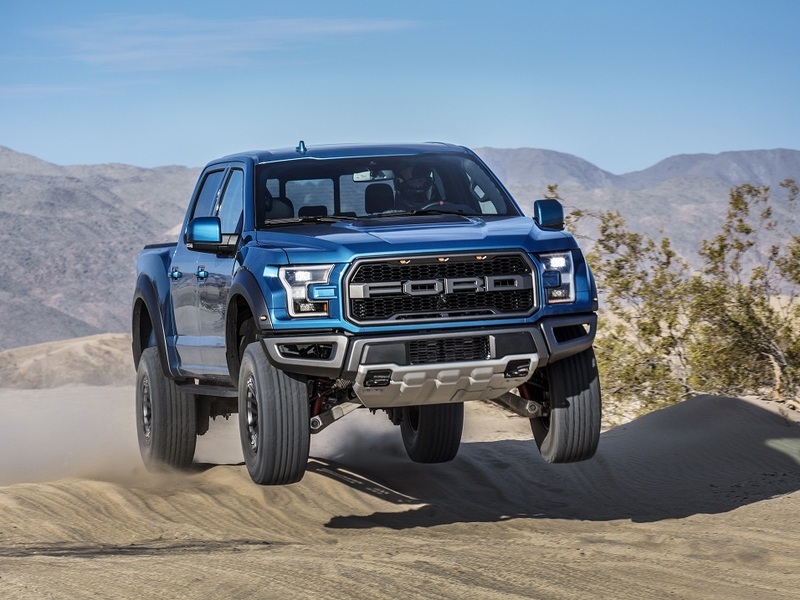 Some Raptor owners and critics have stated that their EcoBoost V6-powered steeds were slower than the V8, had poor gas mileage for a lower-displacement engine that's down two cylinders, and also had trouble in sand due to the turbocharger. It looks like Ford heard and answered the call by announcing that it will bring back the V8 but in a better and more powerful form. That's right. 1st-gen Raptor loyalists will soon rejoice. There isn't a stock truck on earth that can do what the Raptor can. The new 5.2-liter supercharged V8 will go into the F-150 Raptor soon (it's coming in the new Mustang Shelby GT500 first), and the output will be 700+ horsepower, though no actual specific number has been provided for the Mustang or the Raptor versions. This will go up against the 707-hp Hellcat-powered Ram Rebel TRX we reported on last week. The timing isn't coincidental, it seems. You can't continue to be the king of off-roaders and be down on horsepower by over 200. Not only is it the appropriate response to the Rebel TRX, but it's also the right way to send off the current generation Raptor since a new version will come in 2022, or at least that's what's rumored. There's no word on what that truck will get, but we're speculating that the Godzilla engine that's built in Canada might get shoehorned in there since it was reported by Autoblog that the 7.3-liter V8 that will see Ford Super Duty use actually fits under the hood of both the 'Stang and the current Raptor. The entire F-150 lineup may get an available 7.3-liter to shoehorn under the hood, and the next Raptor may benefit from that choice, which would certainly elevate the truck (as well as elevate its price). Actual output of the Godzilla engine isn't public information yet, but Ford is already claiming that it could very well be the "most powerful gas V8 in its class". That would certainly put the next Raptor at the front of the performance pickup pack by a significant margin. We loved our time in the Raptor, and we never found it lacking in any way. It looks like the Raptor and the Rebel TRX will be the only performance pickups out there for the near future since any rumors of a high-powered Chevy ZR2 Bison have been temporarily quashed, despite the fact that demand for the truck is nuts. It remains to be seen how the Rebel TRX will be on-road (the Raptor is remarkably good). Whatever the case, the two titans of truckdom will certainly have to duke it out to see who comes out on top.